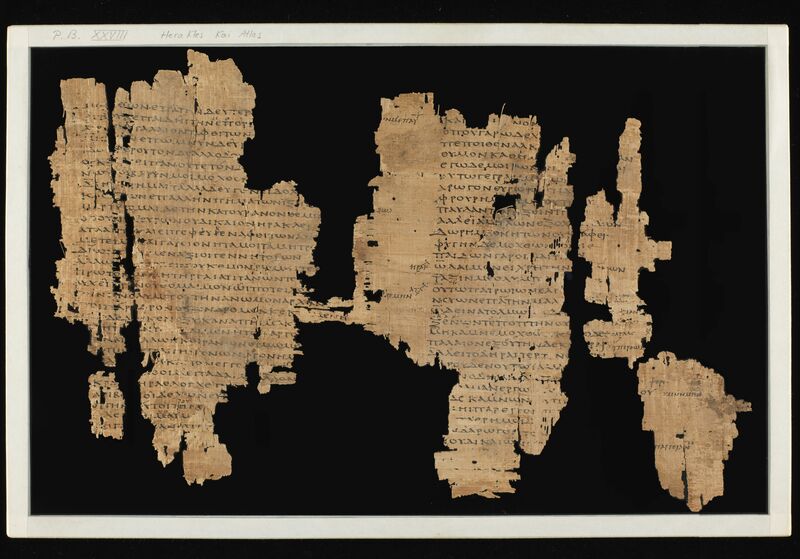 Description: These six fragments of papyrus preserve substantial remains of two columns of writing and traces of the beginning of a third column copied along the fibers (→). 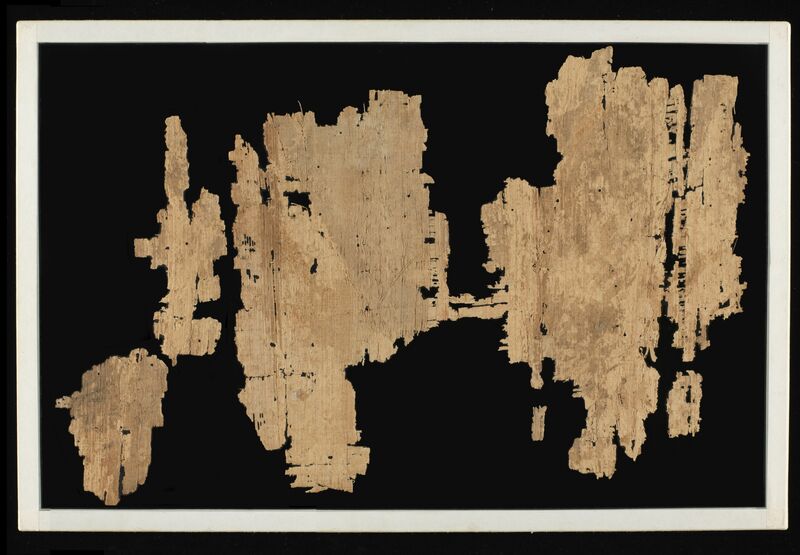 The back of the papyrus (↓) is blank with traces of ink. The text appears to be a lipogram, the author having deliberately excluded the letter sigma from the composition. Turner reported that he first saw P.Bodmer 28 in Geneva in 1972. No earlier provenance is known: “The library’s inventory does not allow us to establish provenance or date of acquisition. It seems that these fragments had not been seen by Victor Martin, whose interest they would undoubtedly have caught. 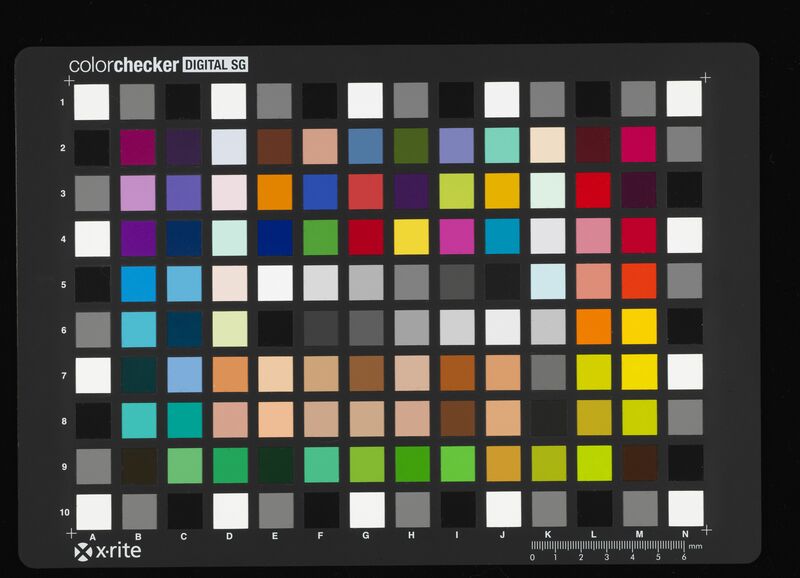 A happy suggestion of Dr. W. E. H. Cockle is that they may have been extracted from the binding of an early codex” (Turner, “Papyrus Bodmer XXVIII,” 1-2). VolumeThe height of the roll is 20.4 cm. The original length of the roll cannot be determined. The height of the written column is 15.0 cm. The width of written column is 12.5 cm. The column to column width is 15.1 cm, and there are 30 verses per column. Paratextual features: The text includes stops, apostrophes, accents, rough breathings, and corrections (both marginal and above the line), all apparently the work of the original copyist. Turner, Eric G. “Papyrus Bodmer XXVIII: A Satyr-Play on the Confrontation of Heracles and Atlas.” Museum Helveticum 33 (1976), 1-23. Kotlińska-Toma, Agnieszka. 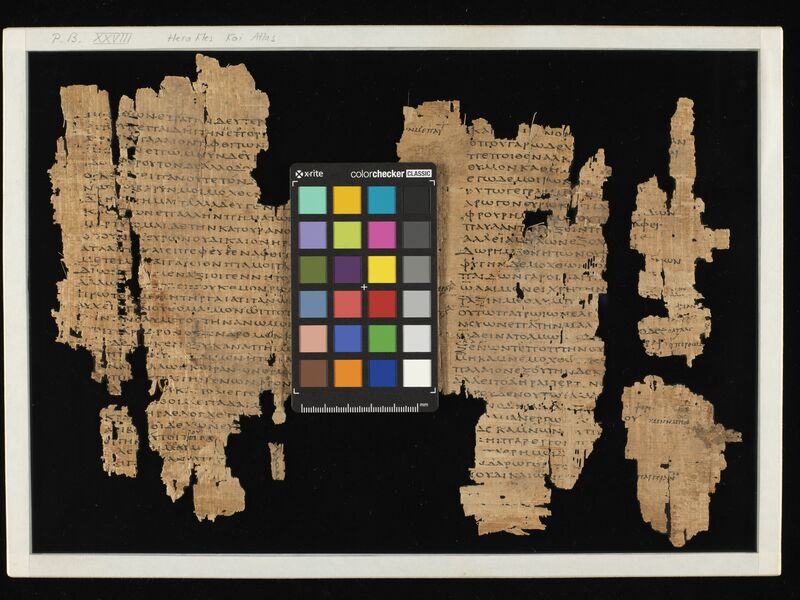 Hellenistic Tragedy: Texts, Translations and a Critical Survey. London: Bloomsbury, 2015, 189-195.